Direct marketing companies continue to grow in number and in annual sales. According to the Direct Marketing Association, it’s reported that direct marketing campaigns have driven more than $1.7 trillion in annual sales across all channels. Consumers have been responsive to direct marketing, making purchases online and over-the-phone at increasing numbers. While it is a popular method of selling, it also has inherent challenges. 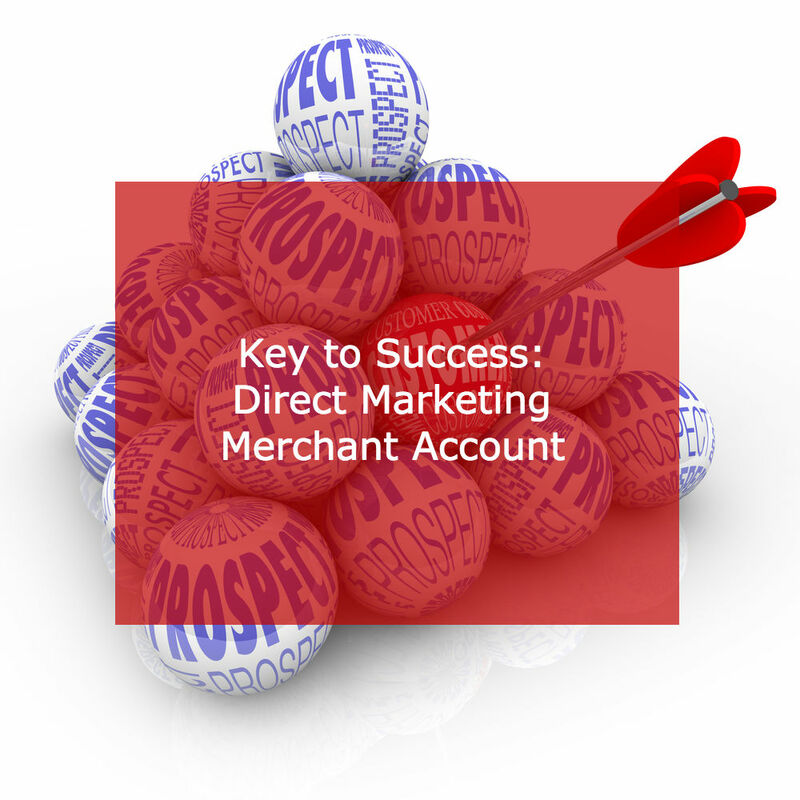 This brings us to direct marketing merchant accounts; and how a specialist processing partner helps steer high risk direct marketing ecommerce merchants through difficult times. Difficult times, you ask? Well yes, if you consider the high risk label and lots of chargebacks making it difficult for some ecommerce merchants. Let’s start with the basics of direct response, and take a linear path to direct marketing merchant accounts and the benefits they deliver. Directly. First touted by Lester Wunderman, the DR marketing promotional method attempts to send messages directly to consumers (via direct mail, email, pop-up ads, telemarketing, TV commercials, websites, and the like). Its focus is driving trackable, measurable, positive actions through a specific, measurable “call to action” or CTA. You know, fill in a coupon and mail it — call a toll-free number — sign up for an e-newsletter — or click “buy now.” Ultimately, the desired action results in a consumer placing an order. A strategy used by nearly every ecommerce merchant, direct response marketing falls into the high risk category, mostly because of the card-not-present (CNP) nature of online sales transactions and the blistering rate of chargebacks experienced by direct marketing merchants…A good reason for merchants to choose direct marketing merchant accounts. Whether customer remorse leads to “friendly fraud” chargebacks, or bad guys commit true fraud with stolen card data, the direct marketing world suffers rampant chargebacks. Either way, fraud is the culprit. Insist on a secure Payment Card Industry Data Security Standard (PCI-DSS) Level 1 compliant payments gateway from your processing partner. Don’t shirk this requirement, as non-compliance costs dearly in the form of large fees from major card brands. Always require Address Verification (AVS), Card Code Verification (CVV) and IP Address verification in your payments gateway and online payment portal. Screen your payment gateway for fraudulent transactions using a robust, recurring process. Require strong passwords that meet best practices for ecommerce fraud prevention (when customers create online customer profiles to facilitate repeat orders). Develop and document a clear, robust fraud prevention policy and showcase it on your website. Retain copies of all purchase transactions, and order fulfillments. Maintain the records in a secure and convenient location, as you’ll need them to dispute chargebacks and facilitate resolution. Review and be willing to revamp your terms of service and return policies. Move customer service into user-friendly territory, if not there already. Treat your customers well and communicate in a friendly and professional manner. Every email represents the opportunity to retain a customer and perhaps generate a follow-on sale. Always send an email confirmation thanking customers for their purchases, fulfill orders quickly, and send an email with shipping and delivery information. Work hard to build strong customer relationships through good communication, and you may be surprised how well your ecommerce business grows. Direct response merchants often find themselves struggling to find long-term, affordable payment solutions. You need a secure payment portal for transactions to help you move products. You can’t help that your chosen industry sector — direct marketing — falls into the high risk category. But you can choose to work with an experienced high risk payment processor that offers direct marketing merchant accounts. MerchACT has worked with a variety of direct response marketers and “as seen on TV” resellers. We’ll pair you with the right merchant bank and set up your secure processing portal so you can do more than just move your products; you can accept multi-currency payments for them too. Maximize profits with a reputable and stable solution. Let MerchACT be your payments advisor to help you get chargebacks under control. We treat clients as business partners, to help you be profitable and grow your business. Because if you’re successful, so are we. Give us a shout today. We’ll both be glad you did.